"Medicalizing the Souls of Black Folk." Lecture by Jamil Drake (Florida State University) Free & open to all. Reception follows. Sponsored by the Dartmouth Society of Fellows. "Medicalizing the Souls of Black Folk: Public Health and the Governance of Black Religion in the American South"
Before the infamous Tuskegee Experiment, the Julius Rosenwald Fund invited Fisk University researchers to participate in the epidemiological study of black farmers in Macon County, Alabama. Arguing that these farmers represented "America's folk," the researchers made "religion" an object of inquiry in the study of black mortality and morbidity in the rural south. This presentation will show the importance of religion in the work of reforming black farmers into healthy, moral, and productive citizens. 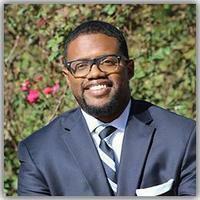 Jamil Drake is an Assistant Professor in the Religion Department at Florida State University. He specializes in American religious history with a particular interest in 19th and 20th century African-American religious cultures; religion and politics; and religion and science. More specifically, he is interested in research questions around the history of religion, the social sciences, and racialization in the United States. He is currently writing an intellectual history of race, religion, and class entitled Reforming the Souls of Black Folk: The Social Sciences and the Making of Working-Class Religious Cultures in the American South. This project explores how the use of the “folk” category in the social sciences played a fundamental role in the process of classifying religious behaviors of black lower and working-class southern populations in industrial America. Jamil currently teaches undergraduate and graduate courses on race and ethnicity, labor and class, and culture and politics in American religion. Convened by Laura McTighe, Postdoctoral Fellow, Society of Fellows, Department of Religion. Funded by the Dartmouth Society of Fellows and co-sponsored by the Department of Religion and the African and African American Studies Program.